Two months ago I had a nice apartment in Chicago. I had a good job. I had a son. When something happened to the Negroes in the South I said, `That’s their business, not mine.’ Now I know how wrong. I was. The murder of my son has shown me that what happens to any of us, anywhere in the world, had better be the business of us all. The celebration of the 4th of July caused me to reflect upon my military and civic service which I have given to this country. The sacrifice of blood, body and countless lives of soldiers and others, like myself, who pledged to protect the liberties and values we claim are uniquely American. From the Revolutionary War to the Global War on Terror, over a half million battle deaths have been given in the name of freedom. Yet, as black and brown people take part in the annual festivities of this and other celebrations, they are reminded that the purpose for which we celebrate as a nation remains elusive to black people still today. Despite the signing of the Emancipation Proclamation by Lincoln on January 1, 1863, it took 2 1/2 years – June 19th, 1865 before all the slaves knew they were freed. I answer: a day that reveals to him, more than all other days in the year, the gross injustice and cruelty to which he is the constant victim. To him, your celebration is a sham; your boasted liberty, an unholy license; your national greatness, swelling vanity; your sounds of rejoicing are empty and heartless; your denunciation of tyrants, brass-fronted impudence; your shouts of liberty and equality, hollow mockery; your prayers and hymns, your sermons and thanksgivings, with all your religious parade and solemnity, mere bombast, fraud, deception, impiety, and hypocrisy-a thin veil to cover up crimes which would disgrace a nation of savages. Fast forward to 2017 and black and brown people still find themselves embattled for their lives because they refuse to be deprived of life, liberty, or property, without due process of the law. In fact, the solution for reducing or eliminating police brutality and the deaths of innocent people rests in the hands of prosecutors, jurors and judges responsible for administering the law fairly. African-Americans continue to adhere to the rules of law only to find those rules shifting, changing under their very feet. Where are those good policemen who have taken the oath to protect and serve but remain silent when their fellow officers abuse and violate the very people they’ve taken an oath to protect; the heroes America likes to tout and rally behind when one of their own succumbs to violence. This is not an us versus them situation. All sides lose when justice fails to serve everyone fairly and equitably. What about the judges who allow guilty officers to be freed after falsifying documents and lying under oath; often returning them to the job without recourse or consequence? And better yet, what about the cities, police associations and police departments that retire these officers with pay and benefits? They must remember that these officers are themselves only human beings with flaws like everyone else, governed by the same set of rules. So, a city need not sacrifice integrity, fairness or justice to save face because a wrong has been done. The answer is to stand up honestly by supporting the citizenry which elected you to stand against injustice – no matter where it is found. Numerous police brutality cases are linked by the common fact that police officers lie about the facts and are known to modify events as the pressure is heightened. What is the dynamic between city officials and the police associations that deem it alright to abridge the right of the citizen at any cost? You hear politicians often refer to this country as a nation of laws. But it appears that only applies to those in power with privilege and deemed above the law. The families of Keith Warren, Darrius Stewart, Christopher Kalonji, Joseph Kalonji and police brutality survivor Antwynette Houston along with countless others who have lost loved ones at the hands of police, or who have been injured by police are all too familiar with efforts by officers to hamper the investigative process, to not answer reasonable questions about procedures, for police departments to rarely hold investigators accountable, or to openly examine the inefficiencies of the internal review process; doing the very things which operate counter to the interest of the public’s right to know and the greater good of the community. More importantly, nothing will change as long as those responsible for administering the law equitably like judges, jurors, district attorneys and public officials begin to do so without bias and prejudice, something which they have sworn to do… but have failed to deliver on consistently. So, the celebration of freedom will not be a truthful celebration of this country’s legacy until all its citizens are valued and can enjoy all the rights and privileges afforded to them as Americans. 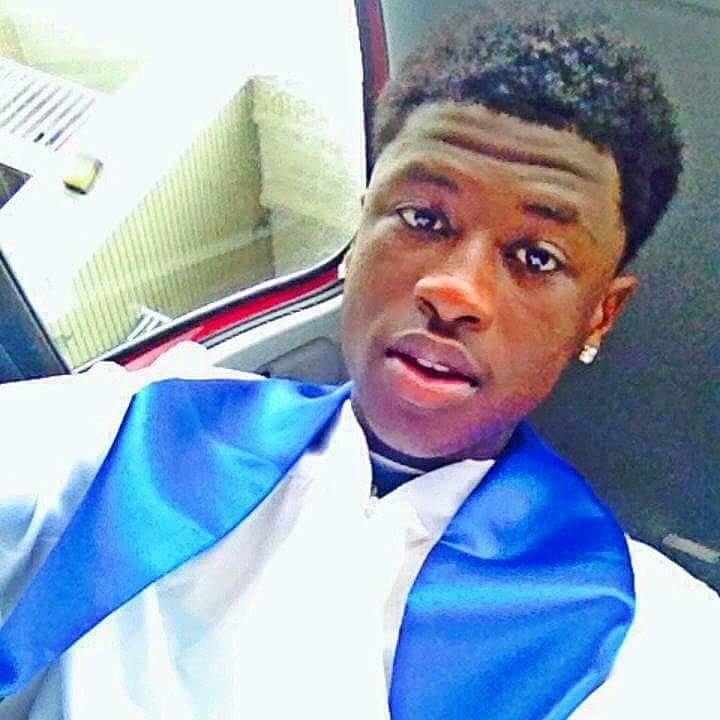 Darrius Stewart was killed by a Memphis police officer on July 17, 2015. He was a passenger in a car that had been stopped for having a broken headlight. A ticket was issued to the driver. But officer Connor Schilling said Darrius, a passenger in the car, had several warrants and placed him in the back seat of the police car without handcuffs while he verified the warrants. Schilling reportedly went to the back door of the police vehicle to handcuff Darrius. It was then that he alleged Darrius kicked the door and attacked him. During the struggle Schilling said Stewart grabbed his handcuffs, swung at him and attempted to grab his duty belt. Part of that fight was caught on video. Schilling said he feared harm to himself and fired two shots hitting Darrius twice. He died while at the Regional Medical Center. A number of questions surrounding the incident are still unanswered. Internal Affairs found that Schilling was guilty of two violations of policy stemming from the arrest – one violation was for not waiting for backup before opening the door, and the second violation of policy was for failing to move out of earshot after he had been advised to do so by the dispatcher who was giving him information about the warrant. The Tennessee Bureau of Investigations (TBI) investigated the shooting and gave its findings to the District Attorney who recommended charges, but the Grand Jury refused to indict. Schilling has since retired based on a claim of disability – Post Traumatic Stress Syndrome (PTSD). On the surface this case appears to be a closed case. Stewart has new legal representation and has established a Paypal fund to continue her fight. She’s enduring attacks on her character and that of Darrius, adding, “I’m trying to build a foundation to help other families keep from ending up in a situation like I did because my whole life was flipped overnight. Celebrities and athletes are overlooking these families’ suffering after something like this happens to them. On the other hand, the police get to rebuild their lives because the government is behind them. Officer Schilling’s family is wealthy and he’s treated like a hero, and was able to retire with a pension, even though there are veteran officers who had to leave the police department without a pension or benefits. NOTE: Many of the families fighting for justice are in need of legal assistance, housing, volunteers, advocates and financial resources. Your help would be greatly appreciated. Contact these families via twitter to learn how you can help @justiceforkeith, @nook71715, @IrenesCircle, @AntwynetteH. Learn about the power of the police association in your city and their relationships with your public officials… follow the money. Hold the line for accountability in your community. Shine the light of justice!